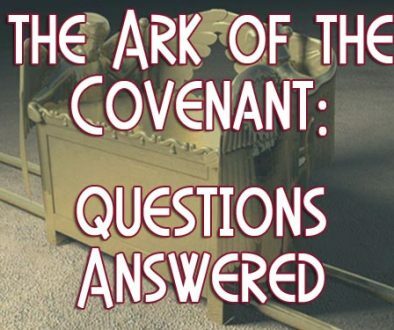 Over the years we have received numerous questions and inquiries about the discovery of the Ark of the Covenant. While there are some questions that cannot be answered at this time, we want to give out as much information as possible. Below are answers to some of the more common questions we are asked. If the Ark was really found in 1982, why has this not been heard in the media after more than 15 years? The reason that you have not heard about this discovery in the media is because verification of the discovery is being kept from the media by Israeli officials. They have also asked Ron not to reveal certain sensitive information associated with the find. You may hear passing references to Ron’s discovery as well as several of the other 5 or so groups that say they have discovered the Ark in other places. Ron’s discovery is thought by most to be only another one of “those stories”. Only a few within the Israeli government, 3 or 4 people, know of this discovery. It is being held as a state secret because of the chaos that would be created in both the Jewish and the Arab religious communities if an official announcement were to be made. Today in Israel there is a strong push for Israel to take back the temple mount so that a third temple can be built there. This movement is growing daily and is being promoted by certain religious Jews and evangelical Christian groups. There have been several serious incidents in recent years because of their efforts. 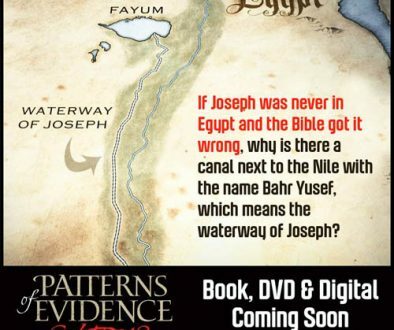 Because, in their minds, the discovery of the Ark would immediately dictate a call for a “temple” to house it, the official verification of the discovery would undoubtedly be catastrophic. Now that the Ark has been found, how is it being protected? Is there any danger of it falling into the wrong hands? The Ark has been in its present location for about 2600 years and has been perfectly safe for that time. There is no reason to believe that it is in any danger now. From time to time we get reports such as the following: “the area (where the ark is located) is surrounded by a high fence and is being guarded by military troops.” This is absolutely not true. The Ark is located in a cave just outside the north wall of the old city of Jerusalem. It is protected in the same way God has always protected it …………. by His angels. There is no need for anything beyond this. Will the revealing of the Ark be connected with the building of the third temple? Many, both Jew and Christian, have taken this position …… that the discovery of the Ark of the Covenant would demand the building of a “third temple.”. However this is not the case. Many have not considered that the Ark of the Covenant was NOT in the second temple, the temple that existed during the time Jesus Christ was here on earth. In fact, the Jews built a table called the “table of the Lord” to take its place (Ezekiel 41:22; 44:13, 15, 16). Even without the Ark being in the second temple we know historically and Biblically that the offerings and sacrifices still took place. Therefore, while many might desire the building of a third temple, there is absolutely no necessity that will be created by the announcement of the discovery of the Ark. What is the current status of the Ark of the Covenant excavation? 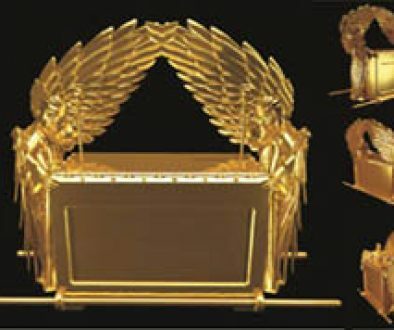 The status of the Ark of the Covenant dig is that it is finished. The next thing to take place in regards to the Ark is for the tables of stone to be brought out and made available for viewing. When will the Ark be revealed to the world? We get a lot of pressure from various people about this question but it is God that will dictate the timing of the revealing of the Ark of the Covenant and the tables of stone to the world. No man will make that decision. The timing of that revelation has been revealed to Ron Wyatt. However that revelation will be associated with certain events, not a specific date or time. The time of the revealing of the Ark is not scheduled to coincide with any dedication or building of a temple or anything associated with it. However, there is an event that will be the signal for Ron to bring out the tables of stone from the place where they have been hidden for over 2500 years. That event will be when man’s law forces a form of worship upon people that is contrary to God’s law. In reference to the blood of Christ that was found by Ron on the Mercy Seat, has there been or is there any plans to get a unbiased scientific work done on the sample by a source not affiliated with Wyatt Archaeological Research? A very interesting question. It has been our experience over the years that any scientist’s report on our work is considered unbiased if it is a negative report. However, once a scientist verifies our evidence and findings they are immediately taken to be either “associated with Ron Wyatt” or their credentials and motives are called into question. Regardless, the time will come when scientists will have opportunity to go into the cave where the Ark is located, take their own samples of the blood and perform their own independent tests. As we have stated on the home page of this web site, “As is to be expected, the discoveries Ron has made are very controversial among the scientific as well as scholarly communities. As a result, we never look to scientists or scholars to “confirm” them. We employ scientific testing, then present the evidences of those tests and the testimony of experts as to the results. We then present the body of evidences, biblical, historical, archaeological and scientific, and believe each individual is capable of making their own decision. What would be the cost to get a copy of all the news letters? Does anyone make copy”s of the two Arks and if so what is the cost?